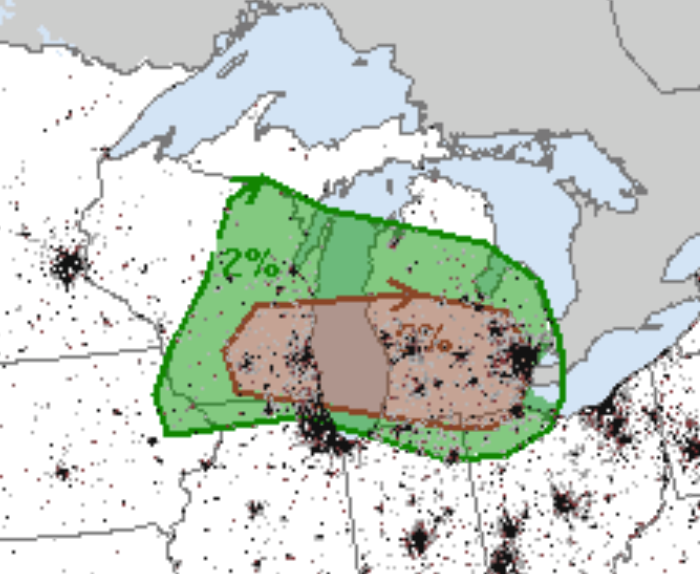 The brown area is where there is a significant risk of tornadoes later today. It includes Detroit, Flint, Milwaukee, Grand Rapids, Toledo and the northernmost suburbs of Chicago. If you were following me on Twitter yesterday (@usweatherexpert) you saw the major tornadoes in North Dakota and Minnesota that largely missed populated areas. The same weather system will be affecting the Lake Michigan Region later today. So, keep up on the weather when thunderstorms approach.